Nadra over at Ellis and Higgs has made something really special with Enchanted. 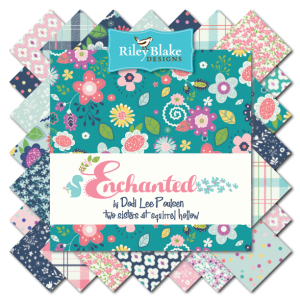 You can buy Enchanted fabric Here and Here and Here! Wow, what a lovely and happy miniquilt! The fabrics are just wonderful! I am loving this blog tour. The creations being presented using your wonderful fabric collection are always a treat to see. Fabulous projects and blog hop.Any of the projects is stunning with those yummiest fabric. Nadra made such sweet projects with this line of fabrics. I totally love polka dots and loved her use of them. Love this mini quilt. And the fabrics make it extra beautiful. I love mini quilts. Her sleep mask is so cute. Great blog hop. Loved her mini house quilt. My goodness! Loooove the lil' house quilt & sleep mask!! All the projects on this Hop are AWESOME!! Cute mini! I definitely need the sleeping mask. Thank you for the pattern. Love the fabrics and the projects! 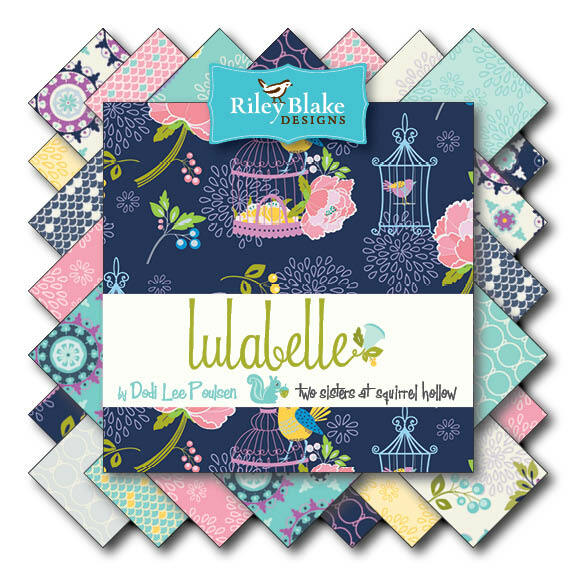 So fun to see all the great projects with the cute Enchanted fabric! Every day is something new and fun. Beautiful fabric, thanks for the chance to win! Beautiful fabric; I love it. love the feel of your blog. Keep it up. I'm enjoying this blog tour! Such pretty fabric! I am really enjoying this blog hop! The projects are all awesome! Thanks! Each post has such great inspiration! The fabric makes up fun projects! It is amazing to see how many different ways people find to use this fabric--each of which show it off, and reflect the sewist's style and personality. I love seeing that plaid used as a binding! The mini quilt is very cute and I love the eye mask, I can't sleep with out one on! Very fun....lots of new projects to add to the list!